Congratulations to the following 5 Lucky Winners of our UOB Passbook Savings and Uniplus Christmas Promotion (1 November to 31 December 2018) Lucky Draw. 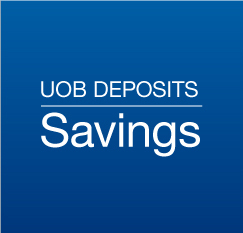 The UOB Passbook Savings and Uniplus Christmas Promotion (1 November 2018 to 31 December 2018) (“Promotion”) is only valid between 1 November 2018 and 31 December 2018 (“Promotion period”) and is only applicable to customers who have deposit at least S$15,000 in Fresh Funds into their Account (“Eligible Account”) by 30 November 2018. Full terms and conditions apply.